Burger Mania by the Bay! Wednesday | June 14, 2017	Commemorating Gardens by the Bay 5th birthday, Bakerzin crafts 5 tantalizing & mouth-watering mega burgers for your indulgence! All buns are handcrafted from scratch & every dressing is prepared from scratch too! Savour delish burgers without hesitation & definitely worth your time for a trip down to the flower dome to pay us a visit! THE STAR ~ contains real juicy salmon patty SHROOM BURG ~ a crisp & juicy Portobello mushroom patty CHICKY GEM ~ contains well-marinated chicken BLACK PEAL ~ hand-pulled to perfection of shreds of coffee pulled pork TROPICAL SEAFOOD CATCH ~ contains lovely & delicious crab cakes patty MELON CHEESECAKE Inspired from Hokkaido, a silky smooth rock melon cream cheese mousse will melt into your mouth. SAKURA MACARONS Pretty in pink chewy meringue cases carry hints of almond, oozing Sakura butter cream. 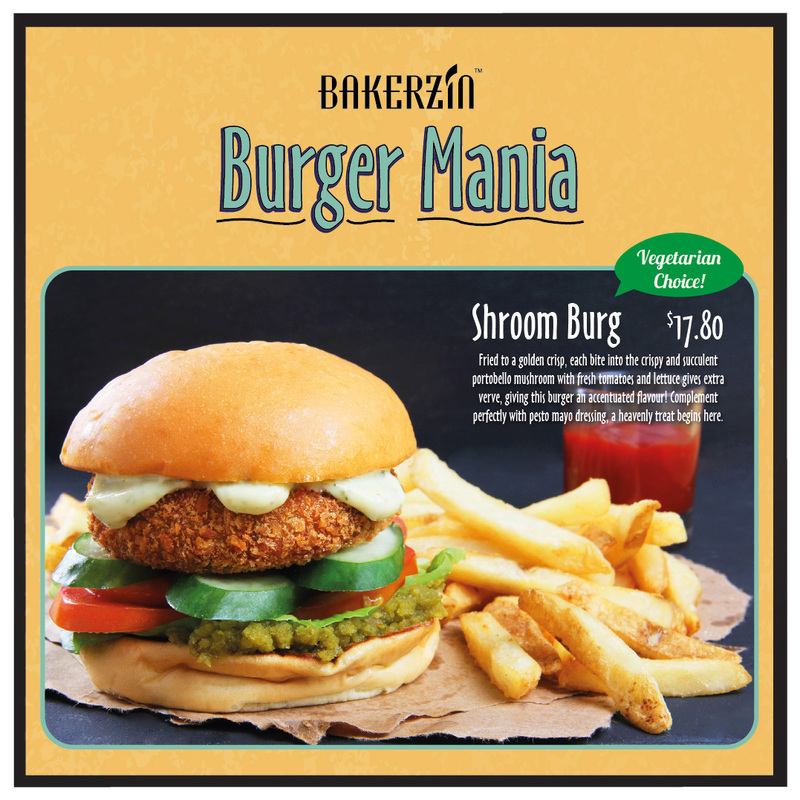 Burger Mania will be available exclusively at Gardens by the Bay for a limited period! Hurry down today!